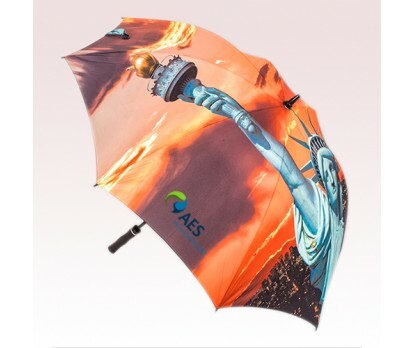 62 Inch Arc Custom Printed Full Color Golf Umbrellas are great for making your brand logo seen by everyone in the golf course or in any open area. 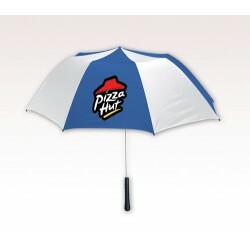 These custom promotional golf umbrellas have 2 main highlights. 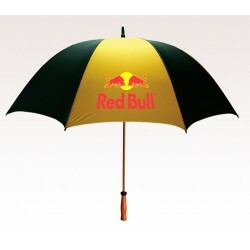 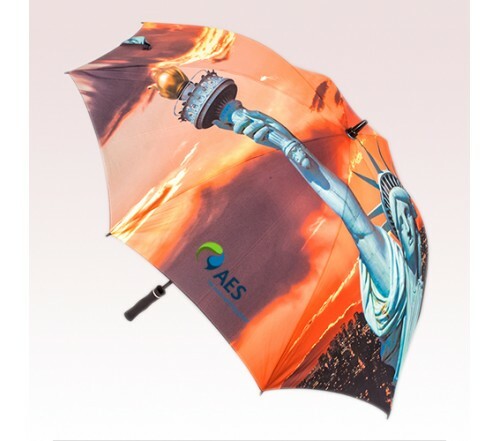 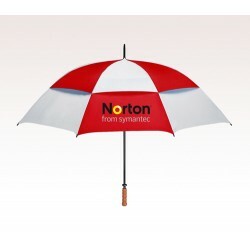 First one is their fully sublimated style; a large image can be imprinted to the entire area of these custom umbrellas, thus achieving massive brand impressions. 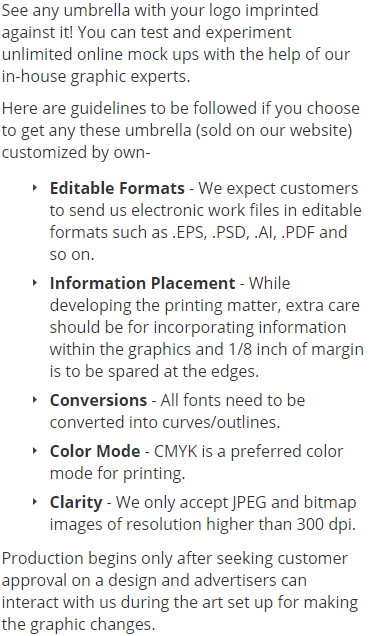 The huge 62 Inch arc is the second main highlight. 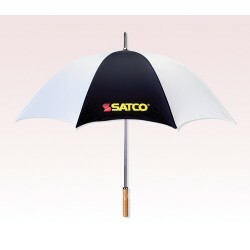 Rubberized handle and fiberglass ribs and shaft are other features. 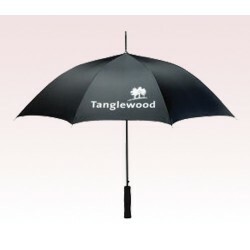 Order these products now to get free artwork and free online proofs facilities. 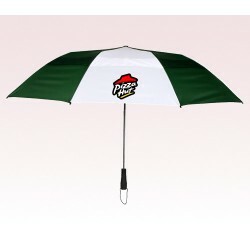 Request a quote to know price cuts that you can avail for wholesale 62 Inch Arc Custom Printed Full Color Golf Umbrellas.